The list contains five jurisdictions currently blacklisted by the EU: American Samoa, the US Virgin Islands, Guam, Samoa, and Trinidad and Tobago. However, it now includes another 16 low-tax jurisdictions: Anguilla, the Bahamas, Bahrain, Belize, Bermuda, the British Virgin Islands, Guernsey, the Isle of Man, Jersey, the Cayman Islands, Kuwait, Qatar, Saudi Arabia, the Turks and Caicos Islands, Vanuatu and the United Arab Emirates. All either have zero corporate tax or a rate lower than 9%. The additions bring the total number of jurisdiction on the Dutch blacklist to 21. "By drawing up our own, tough blacklist, we are showing again that we are serious in our battle against tax evasion," junior tax minister Menno Snel said in a statement. "And this is just one of the measures we are taking," he added. From Jan. 1, 2021, companies registered in blacklisted jurisdictions will be subject to a 20.5 percent withholding tax on interest and royalties received from the Netherlands. 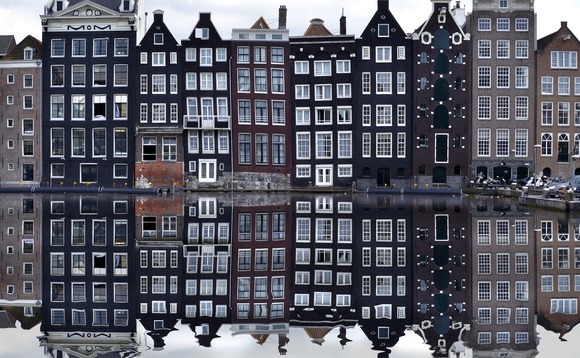 "With this measure, the government aims to prevent companies avoiding tax by moving mobile assets to low-tax jurisdictions," the Dutch ministry of finance said. The move signals that substance legislation, recently passed by several offshore jurisdictions to avoid an EU-wide blacklisting, will not be enough to appease EU member countries, In the case of the Isle of Man, the Manx government has had a tax information exchange agreement with the Netherlands since July 2006. A recent study by government agency Statistics Netherlands found that the country had received 4.6 trillion euros (US$5.2 trillion) in "foreign direct investment" in 2017. However, less than a fifth of that money - $836 billion - remained in the Dutch economy, while $4.2 trillion was routed through shell companies to other jurisdictions. Researchers said about a third of the money ended up in "offshore tax havens." Also, a notable absence from the list is Curaçao in the Netherlands Antilles, which was one of the first offshore centres and offers low rates of tax for offshore companies. On Dec. 5, 2017 the European Union already published its first own first ever tax haven blacklist of 17 non-cooperative tax jurisdictions to fight tax evasion and avoidance, aiming to create a stronger deterrent for countries that according to the EU "consistently refuse to play fair on tax matters". The Dutch list will from now on be updated each year, while the EU list will be updated again in the first quarter of 2019. If, in the future, other jurisdictions are added to the EU list that are not on the Dutch list, the measures will also apply to these jurisdictions.